I am an established arts educator with more than thirty years of experience. I am an alumna of The North Carolina School of the Arts (renamed, The University of North Carolina University of the Arts - UNCSA) with a degree in Modern Dance. My passion for dance was realized at a very young age; I am the product of a summer arts program that came to my rural community, Mt. Airy, North Carolina. After a six-week summer program in the late sixties, I left home at age fourteen to study dance professionally at North Carolina School of the Arts Carolina, and endured extensive training to become a dancer of the world renowned Alvin Ailey American Dance Theatre. I have performed with other greats and major companies such as The Joffrey Ballet, Agnes de Mille Heritage Dance Theatre, DanzaHoy and Bella Lewitzky. I have worked with MacArthur Award legendary genius, Jacques d’Amboise of National Dance Institute in New York City and the New Jersey school systems, as well as the Kennedy Center for Performing Arts in Washington, D.C.
After a successful concert dance career my dream of developing as an artist in a Latin-American country came true when I had the opportunity to teach in Caracas, Venezuela. There I served as resident choreographer for Radio Caracas TV and opened Cynthia Jazz Center. In the United States, as gas prices soared in the eighties, I found my passion for teaching youth in a country that was open and receptive to the arts. My teaching and choreography have taken me to Japan, France, Switzerland, Morocco and back to the “Big Apple,” New York City. Back in the United States, after marrying in Durham, NC, I knew I wanted to work with under-served youth. I could relate very well to what a community-based arts program could do for the life of a child. My commitment to give back gave conception to the Walltown Children’s Theatre (WCT) in 2000. My ‘Art-Reach’ began in a small predominately African American community in Durham, North Carolina and has extended throughout the state with educational shows, workshops, academic tutoring, and community outreach. This outreach has led to community partnerships including the following: the Food Bank of Central & Eastern North Carolina’s “Summer Kids Feeding,” Duke University Office of Community Affairs’ “Doing Good in The Community,” Triangle Community Foundation’s “Send A Kid to Camp,” the Durham Arts Council, and The Neighborhood Improvement Services of Durham. Walltown Children’s Theatre (WCT) inspires positive social change by developing and reconnecting diverse, under-served youth in Walltown and the surrounding communities through quality performing arts programming, after-school academic tutoring and collaborative leadership opportunities. We are known for our exemplary programming and socio-economical diversity. WCT benefits youth of all backgrounds by exposing them to the very best training in theatre, dance, acting, fencing, guitar and piano. My motto, “I will never give up on you as long as you never give up on yourself,” renews hope for many children who live with severe home conditions: lack of income, incarcerated parents, parents living with HIV/AIDS, and much more. Thus, some of WCT’s artistic productions, such as “Bangin” have been aimed at issues affecting children—real life issues such as teen violence. Other material includes classics such as William Shakespeare’s Romeo and Juliet in Spanish and Unity: A 2003 Tribute to Dr. Martin Luther King, Jr. In addition to my work at Walltown Children’s Theatre, I also served as adjunct faculty in the drama program at the University North Carolina School of the Arts (UNCSA) where I concluded my duties in 2015. Since 2010, I have served as a full time Executive Director at WCT and have been Co-Director since October 2000. I am honored to be the recipient of a number of awards that have recognized my work as an arts educator and community leader. I have received outstanding awards from the Kennedy Center and was named Miss North Carolina’s Woman of the Year in 1998. I have received the Ten Year Recognition Award from UNCSA. The Triangle Community Foundation awarded me the Kathryn H. Wallace Award for Artists in Community Service, an award given annually to recognize an individual who has made a significant contribution to the Triangle community. In 2014 I was Woman of the Year by Spectacular Magazine. In 2014, I was also honored with the Cultural Enrichment Service Award by the W. Deen Mohammed Islamic Center. Lisa Suzanne Turner Native New Yorker, Proud Graduate of North Carolina Central University Department of Theatre and Dance. Recent Credits; Lighting Designer The HunchBack A Devised piece by LGP, Lighting Designer The Typographers Dream By Adam Bock A Black Ops and Manbites Dog Theatre CoPro. Light Designer, Stage Manager Walltown Children's Theatre present The Nutcracker. Currently holding a permanent position as Warehouse Manager with Creative Vision Inc. Raleigh NC. Sarah Law has a Bachelor’s degree in Graphic Design. She is currently the Manager of Operations and the Creative Director of Graphic Design at Walltown Children’s Theatre. 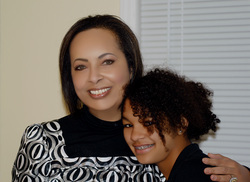 Sarah has a 12-year-old daughter, Adrianna that is currently in WCT’s Junior Company. She has homeschooled Adrianna for most of her schooling and enjoys watching her grown into a beautiful dancer and performer. Sarah’s passion for the creative arts began as a young girl and has since then only continued to grow. From putting on backyard productions of Disney’s The Newsies with her sister after school ̶ to pioneering the show choir “Cabaret Singers” at her high school ̶ to performing for several years in a holiday show that had thousands in attendance! She has enjoyed being a part of many small stage productions filling the role of actor, dancer, and singer as well as choreographer, stage manager, set designer, and assistant director. Sarah ultimately chose to pursue the creative path of fine arts and design with a focus on children’s growth, behavior and learning styles. Her twenty plus years working with children has allowed her to understand how children grow and learn best. Sarah considers it a privilege to have worked with many families, mentoring children through life lessons and learning each child’s unique character and personality so that she’s better able to help them mature and take on life with a full toolbox. This has also allowed her to offer guidance and support to many parents, teachers, coaches, mentors, and caretakers of children. She is currently writing a book for anyone with children in their lives, that she believes will assist in giving children the guidance and support they need to thrive and grow into happy adults that positively contribute to the world around them. Her passion for the creative arts and her expertise in children’s growth and behavior naturally combine to create a unique skill set that she hopes will make a positive difference for years to come.